Writing articles, making videos, and producing podcasts is what we do day in and day out at Gadgets 360. There are times when our team members work on something exceptional, something that catches other team members’ eye, or simply some of our work that we are proud of. We asked all of our team members to come up with one article, video, or podcast that they enjoyed. It could be something they worked on, or something another colleague came up with. The only criterion set in stone was that their pick has to be something we published in 2018. It wasn’t easy to name a single piece of our work as the favourite, but here’s what we got. Has OnePlus 6T removed the best features of the OnePlus 6? This is my favourite podcast of 2018. It discusses some of the choices that companies like OnePlus are making to cater to trends in the smartphone industry, rather than actual demand from consumers. This resonates with me personally, as I believe the use of a notch design, and the removal of a 3.5mm headphone jack as well as hardware capacitive buttons, are decisions that don’t actually serve consumers, but instead ensure the company’s offering is similar to those from other companies. The amount of content we push out at Gadgets 360 is mind blowing and picking the best from it isn’t an easy task. In terms the videos we pushed out, my favorite is the one on How Amazon delivers packages to one of the remote areas in India. It is very well shot and our video team has done a very good job at putting it together. One of the videos I enjoyed making was Exploding Kittens. It was different from the tech videos we usually make and a good game to play with friends. My favourite kind of reporting is anything that sheds light on things I’ve been curious about, and it’s always great to find a colleague who can do so. That’s what happened with Jagmeet’s (extended) look at Apple’s efforts to highlight Indian artists and developers on its biggest platforms. It was also serendipitous in that I had discovered local indie artists through Apple Music earlier that month, only to learn that it was a concentrated effort by the iPhone maker, albeit self-serving. With a variety of viewpoints, the necessary context, and a proper structure, it’s well-worth a read. My favourite video has to be the The Science of Ketogenic Diets as it was something different from the tech videos that we usually work on. A lot of effort went into complete this feature. Also, as this was the first video feature I edited, I got to learn a lot in the process as well. My favourite video of 2018 from Gadgets360 is the Marvel Cinematic Universe (MCU) recapped video by Akhil. Being a huge MCU fan and a huge Marvel fan altogether I was eagerly waiting for the latest Avengers Infinity War movie to hit the screens. And even though I had a complete idea about what had already transpired in the MCU, I really enjoyed watching this quick recap of the series of the events as it was put together well. It’s not easy to single out a single article, video, or podcast from this incredibly busy year, but I’d have to go with the video on the science behind ketogenic diet, as my top choice. After months of planning and logistics and getting the right people to talk about a subject that’s popular as well as controversial was quite a feat. The edit itself was a huge undertaking that involved a lot of back and forth, but in the end, I’m very happy with the end result. For those reasons this would be the most memorable content for me on Gadgets 360. Picking one single feature, video, or podcast is a tough job because I’ve got a lot of favorites this year. But if I still had to choose one, it has to be this feature on Decathlon’s Scan & Go app. I love to shop online, but I’m always curious to see how offline retail stores would evolve to make things easier for their customers. I haven’t been to the store yet, but that’s the first place I’m headed the next time I’m in Bengaluru. But if you’re around, take a look at this feature to know how Decathlon is looking to change the way you shop offline. I’m privileged to work in a team that has some of India’s finest craftsmen. We often bring detailed stories on a variety of topics — covering different areas around technology. But if I have to pick the best of 2018, I would say this should be an opinion by Gopal that makes excellent arguments against upgrading old TVs that are still going strong. The story highlights how we should stay away from spending our precious pennies in picking a piece of technology that isn’t giving us reasonable value. Sathe, whom I found to be amongst my mentors at Gadgets 360, says in the piece that if you already have a full-HD TV, there’s no compelling reason to switch. The overall defines that even though we regularly cover the latest and the greatest of consumer technology, we help you make a wise decision while picking the best from the available developments. Sometimes, reviewing a product turns into telling its story, and parts of that might have to be pieced together from multiple events and occurrences over the course of several years. Very rarely, we get to learn parts of that story directly from the people who created it. It’s a unique privilege to watch their faces light up as they reveal their hopes and struggles through long years of secrecy, knowing it’s all worked out. That’s what happened with my review of the second-gen AMD Ryzen Threadripper 2990WX processor this year. I’ve been tracking AMD’s path since the days of the Athlon 64, into its long slump, and now its rise back to competitiveness with the Zen architecture. The Threadripper product series has been the lynchpin of this turnaround, at least from the narrative perspective, because it shows just how much ammo AMD has, and how strategically it is targeting Intel’s weaknesses. 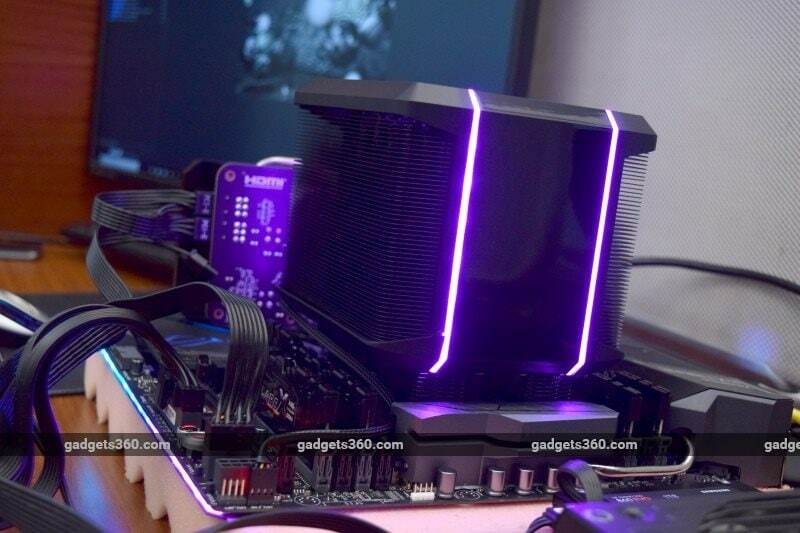 This fierceness has in turn forced Intel to up its game, much to our satisfaction. As a product, it was great fun setting up the Threadripper 2990WX and seeing it absolutely slaughter our benchmarks. This isn’t a product for everyone, but watching 64 threads light up in the Windows Task Manager was a whole new level of fun. Our biggest focus at Gadgets 360 is to help our readers take informed buying decisions, and that’s about telling people what not to buy, as much as telling them about our favourite products. We love our AirPods here at Gadgets 360 — at least half-a-dozen of us have them — and though many reacted negatively to their price tag at launch, we’ve all come to appreciate the fact that they are actually pretty good value. Especially when pieces like this one bring out the fact that none of the so-called AirPods alternative that cost fraction of the price are actually any good. I also loved some of our India-specific pieces like the one on ShareChat, Hotstar succeeding where Google can’t (no, it’s not all down to Akamai, as good as the company is — have you seen the mess that is SonyLiv? ), and this behind-the-scenes look at Amazon, especially the video, the kind I really wish we could do more of. But my favourite piece of the year has to be this untold story of the world’s first Spider-Man mobile game. India connection? Check. Nostalgia? Check. Jugaad aka hustle? Check. Succeeding against all odds? Check. The story has everything, and Rishi’s writing really takes the reader along on the journey, even though we are talking about events that happened 15 years ago. My favourite article of 2018 has to be Ankit’s interview with Hatch Entertainment’s Vesa Jutila. A spinoff from gaming giant Rovio, Hatch has promising plans to launch a sort of Netflix for mobile gaming wherein you won’t have to download the games on your phone and instead stream them using your cellular or broadband plan. This is great for the Indian market where users with low-specced phones will finally be able to play high-end games like Asphalt 9 and PUBG without having to compromise on graphics and picture quality. I’m going to pick a podcast as my favourite piece published on Gadgets 360. In September 2018, we invited comedian Rohan Joshi to our office for an episode of our gaming and pop culture podcast Transition, ahead of the release of the PS4 game Spider-Man. 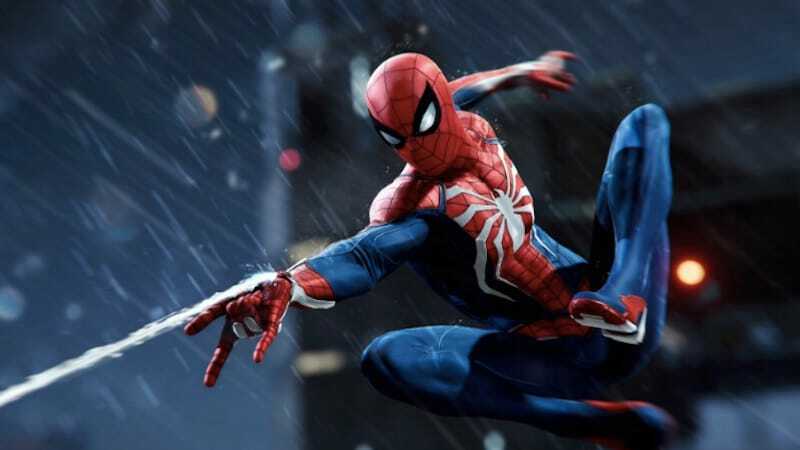 What followed was about 40 minutes of intense Spider-Man nerdery featuring games editor Rishi Alwani and yours truly, whose role was limited to keeping the discussion on topic. Rohan’s knowledge of Spider-Man lore, from the comics to the movies, is just mindblowing, and you get to see the best of that on this episode. Just when I thought that no one can out-nerd Rohan, our own Rishi stepped in to talk about the time when a Spider-Man game was made in India and the challenges the developers faced while making that. We’ve published several good episodes of our podcasts Orbital and Transition, but this one is the best. The coolest piece I read this year was Xiaomi phones showing NSFW ads. Sure, the company claims it wasn’t responsible but it highlights the hidden cost of cheaper smartphones where you aren’t just buying a product, you are the product, or at least that’s what these smartphone manufacturers seem to think. My favorite video of 2018 has got to be Exploding Kittens. I pick this one because it was an incredibly fun shoot at a very interesting location but most importantly, I was introduced to an awesome card game, which I normally wouldn’t have bothered with had I not been part of this shoot. I’ve you’ve not heard of Exploding Kittens, then I suggest watching this video as it gives you a basic explainer of all the rules and how to play the game. We also talk about and play the app version of Exploding Kittens, which is available on Android and iOS. Pro tip: If you find the card game a bit on the pricier side, I recommend buying it from AliExpress. Predicting the future is dangerous because we’re wrong more often than not, but as journalists we end up doing just that. This is what happened on an episode of our weekly tech podcast — Orbital — in 2018. Our attempt was to understand and explain what most Indian mobile phone users need and want from their phones. We also tried to predict whether HMD Global can make the Nokia brand as popular as it was in its heyday. We didn’t get everything right, but I enjoyed the discussion and it remains my favourite podcast of 2018. My favorite piece on Gadgets 360 has to be the podcast where Pranay and Ankit joined me to discuss the Oppo Find X and Vivo Nex and the technology breakthroughs/ compromises made to achieve a near bezel-free design. 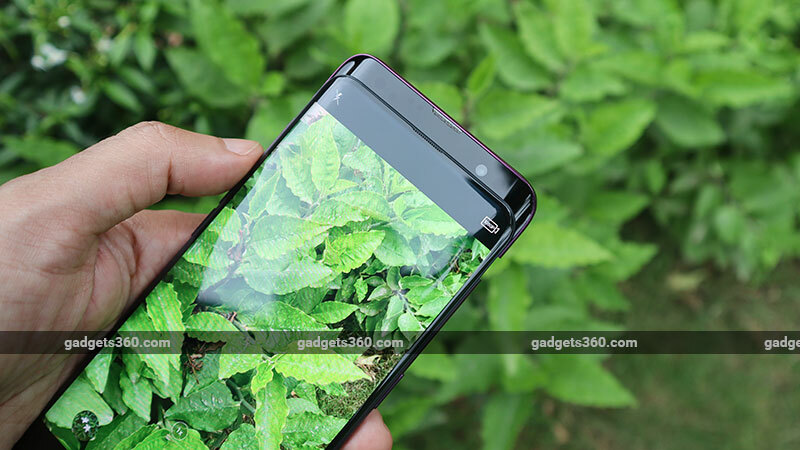 What followed was a scintillating discussion (bordering on a rant) on the futility of notched displays, how OEMs butcher Android with their unfinished and unpolished skins, and the viability of technologies such the pop-up camera found on the Vivo Nex. Being a video editor in Gadgets 360, I edit a lot of videos over here. And I have to say the video that I liked and enjoyed the most is Vivo Nex Review. My favourite article is an example of how technology is become increasingly important in our lives. It shows how one app can help us accomplish multiple tasks. It’s great to see that technology can help us trace lost smartphones and this article explains the process quite well. There are many, but one particular video I found to be useful was the one by Aman, which is about taking better photos and videos via your smartphone. The video shared some great tips and hacks on making a DIY tripod out of a paper cup, a makeshift pinhole camera, using tape for interesting perspectives, information about a child’s perspective versus an adult’s perspective, and even using sunglasses as manual polarising filters. My favourite article told me how to remove pesky ads from Xiaomi phones running MIUI 9. We all know how much Xiaomi spams with ads and this particular article is helpful for all Xiaomi phone users. In fact I shared the link of article with a few of my friends too. Xiaomi makes affordable phones but spamming users with ads is not right. This article helps you fix that. Which is your favourite Gadgets 360 article, video, or podcast of 2018? Let us know via the comments.